WW2 Army plastic cap badges: Bakelite wartime economy issue for sale. World War II introduced the concept of 'Total War', where every activity in Britain was concentrated towards the 'war effort'. In order to 'save brass to make bullets', military cap badgesand buttons were made from a type of plastic called Bakelite. 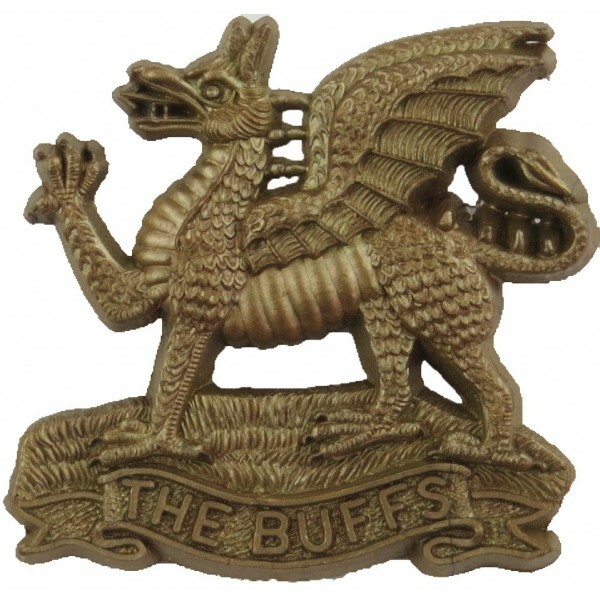 They were not popular with soldiers, who would often throw them away if they could get an older brass badge as a replacement. These plastic cap badges have now become quite rare. They can be accurately dated to WW2, only had short life-span and have become very collectable as a result. The word Bakelite comes from its inventor LH Baekeland (1863-1944). Bakelite Army Cap Badges There are 6 different items.